BourbonBlog.com invites you to watch the season premiere of Moonshiners Season 3 tonight on Discovery Channel, at 9 pm EST, 8 pm CST and check out the TV trailer above! 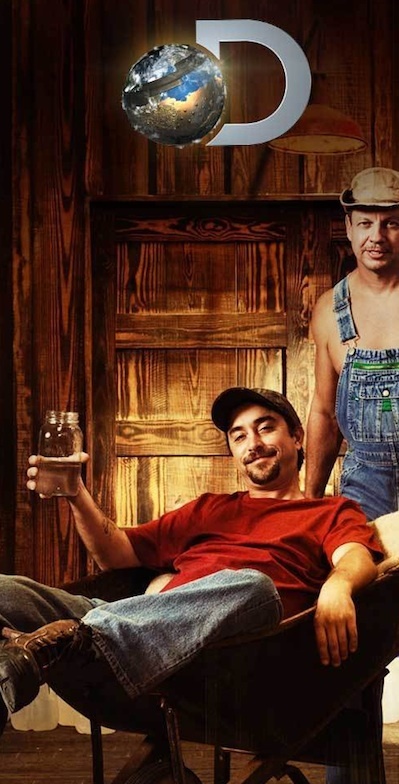 We have followed the adventures of Tim Smith Moonshiners TV show since the beginning two years ago bringing you updates on the show and Tim Smith’s Climax Moonshine. Tim tells us he’ll be joined by some new characters this season including Chico from Kentucky, Steve Beam of Limestone Branch Distillery, and Kentucky Deputy Sheriff. Limestone Branch Distillery in Lebanon, Kentucky is where Tim distilled one of his first batches of his tasty Climax Moonshine. Old Moonshiners friends like Tickle, Jim Tom, Josh, Bill, Jeff and Mark will also be in the new season. Listen to our recent podcast interview with Tim Smith about Climax Moonshine. For updates on season 3 and where to find Climax Moonshine near YOU, subscribe to our newsletter on this link. And tell us how YOU are enjoying the new season under comments below on this link.